Processes get a bad rep. Even the word itself conjures up images of paperwork, spreadsheets, and overzealous managers breathing down your neck. And to some extent, it’s totally fair; often, processes consume more time than the work itself requires. But those are the bad ones, and we’re pleased to say it doesn’t need to be this way. 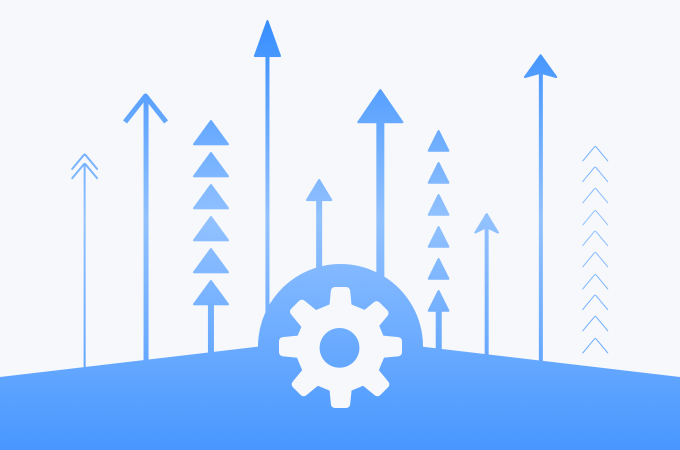 We’re going to quickly run through the different types of top process improvement methodologies, then give you the lowdown on how exactly they can help you strengthen your business. Born in the ‘80s, Six Sigma is all about continually collecting data to eliminate defects and improve processes. The ultimate goal? Reduce errors, reduce cycle times, and increase customer satisfaction. Six Sigma has two sub-methodologies: DMAIC for improving existing processes, and DMADV for creating new ones. DMAIC is an acronym for Define, Measure, Analyze, Improve, and Control. It’s a five-step process designed to rejuvenate existing methods that are underperforming. It helps you understand where your stumbling blocks are, and how to fix them long-term. Everyone, especially teams working on projects looking to cut time and cost. Also known as Design for Six Sigma, it stands for Design, Measure, Analyze, Design, Verify. This is a similar methodology, except it’s for a process that doesn’t exist yet. DMADV can create processes for a brand new project or replace existing, ineffective processes; the DMADV’s role here is to create a new process that works. Again, it’s for everyone, especially teams looking to reduce errors, save time, and improve customer satisfaction. Diagramming is a useful tool with these sub-methodologies to help you organize teams and gain a better understanding of specific elements of the process. Here is a look at the most popular diagrams. This approach helps you work out the root cause of a problem. You’ll see the problem or defect noted at the front with the categories branching out to it. Typically, the categories include personnel, materials, measurements, machines, methods, and environments. This one’s more commonly used in manufacturing and stands for Supplier, Input, Process, Output, and Customer. It can identify each and every element of a process improvement project before it kicks off. 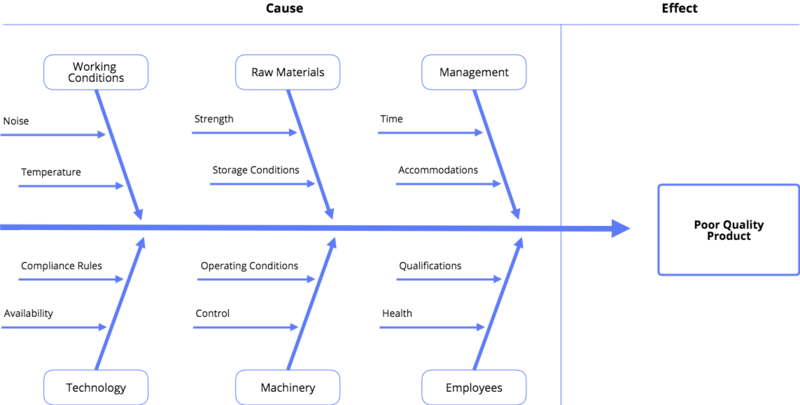 This diagram is usually used during the ‘measure’ phase of the DMAIC methodology. A SIPOC diagram consists of a simple table with five columns for each of your SIPOC processes. Manufacturers who want to identify all the relevant components of a process improvement project and define projects that haven’t been fully scoped yet. 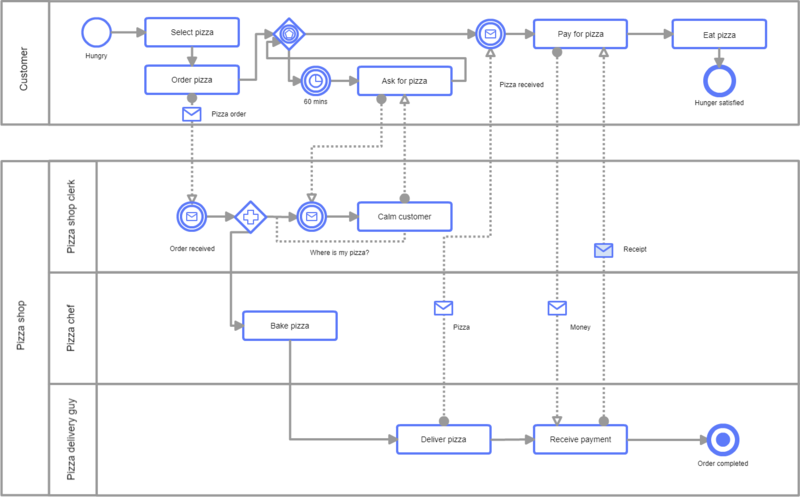 Process maps (AKA business maps) are a graphic display of all the steps and operations that constitute the entire process. So while the other diagrams above help you understand a specific part of the process, this is a detailed overview of the whole thing. Everyone and all industries. It’s useful for understanding how entire processes work and identifying areas that could do with improving. Don’t be put off by the title: Lean Manufacturing isn’t just for manufacturers. It works for any industry alongside existing methodologies (including Six Sigma — more on that later). Lean is all about minimizing waste until you have only the essential value-adding components left. What’s the difference between Lean Manufacturing and Six Sigma? Well, while both essentially have the same objective — to improve processes — the former is all about improving efficiency by eliminating unnecessary steps, whereas the latter is all about improving quality by reducing defects. Now we have a grip on what to look out for, let’s examine three different ways to combat these issues. 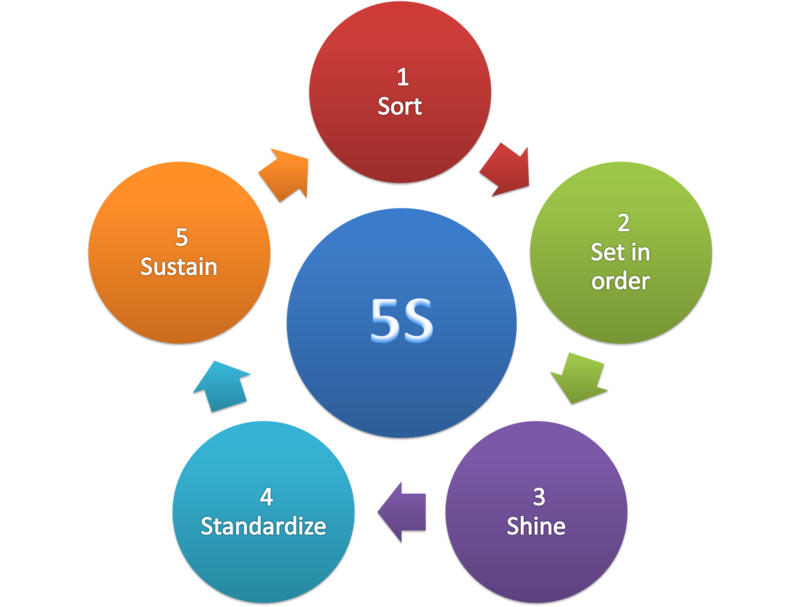 5S is a workplace methodology that uses five words — Sort, Set in order, Shine, Standardize, and Sustain — to promote workspace organization and efficiency. You can create a 5S diagram in the form of a circle that’s split into segments or use a linear format. The segments should be split into your five sections, with a short description underneath each one, so everyone knows what it means. Everyone and every industry. It’s really easy to do and requires no training. It’s a great way to increase team efficiency, promote safety and standardize ways of working. Value maps document the flow of tasks, information, and materials that go into a project. The aim is to sort activities that add value from those that don’t, so you can see which should be trimmed off the process. It’s useful for everyone but favored by manufacturers looking to identify waste within processes and gain insight into process flows. It’s also helpful for goal-setting and prioritizing. Total Quality Management (TQM) is essentially an organization-wide process where every single department and employee works towards improving their supply of products or services. As with the other processes, having a good diagram in place will help you visualize your data and organize your thoughts. 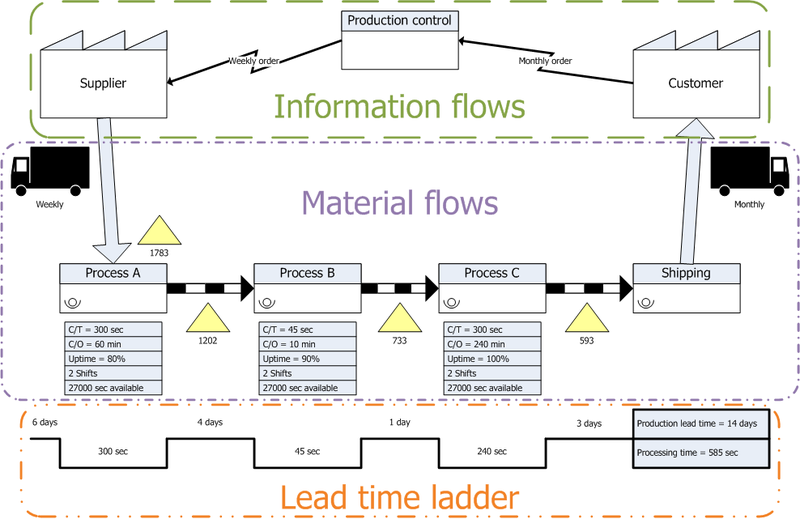 There’s no formal way to document quality, but Ishikawa / fishbone diagrams (mentioned above), check sheets, and flowcharts are popular options. 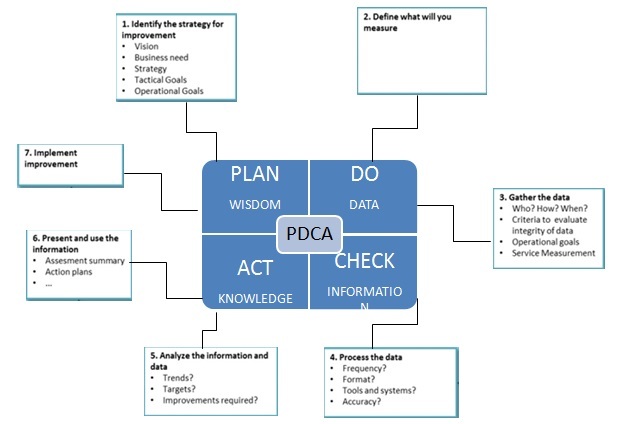 You can also use a PDCA (Plan, Do, Check, Act) cycle, which is a diagram commonly used to track continual improvement. Because of its flexible definition, TQM can be adapted for all industries. It encourages participation from every member of the organization from the shop floor to the biggest of big cheeses! Whichever combination of methodologies you go for, make sure you have all the tools in place to set off on the right foot. Use a good project management tool is never a bad idea. And don’t forget to invest in a cloud-based diagramming tool that lets you professionally visualize and share all that data.